South Bend, IN-This Saturday, August 13th Ancon Construction’s South Bend location will be transformed into a pop up shop with 100% of the proceeds of the sales going to help St. Margaret’s House. The sale will start at 10am with high end brand name women’s fashion clothing and accessories and great prices! Some of the brands include, Adrianna Papell, Bailey 44, Coach, Karen Kane, Joseph Ripkoff, Kay Unger and many others! Join us this Saturday at The LaSalle Building, 237 N Michigan Street, South Bend, IN (Inside the Ancon Construction Office). 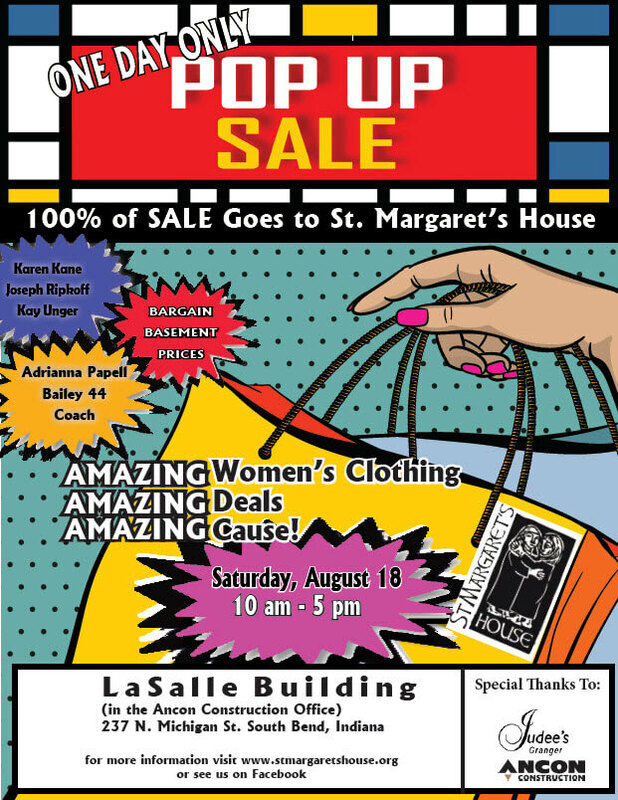 Please come out to show your support for the amazing work that St. Margaret’s House does for our community and get a chance to buy some amazing clothes at some amazing deals! Ancon Construction is proud to help support this unique idea and we look forward to a successful day!